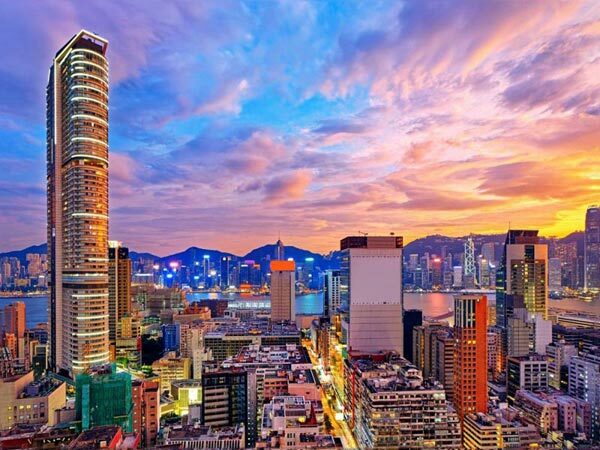 Arrive in Hong Kong, Asia's world city and be transferred to the hotel. After checking into the hotel, spend the rest of the day at leisure. 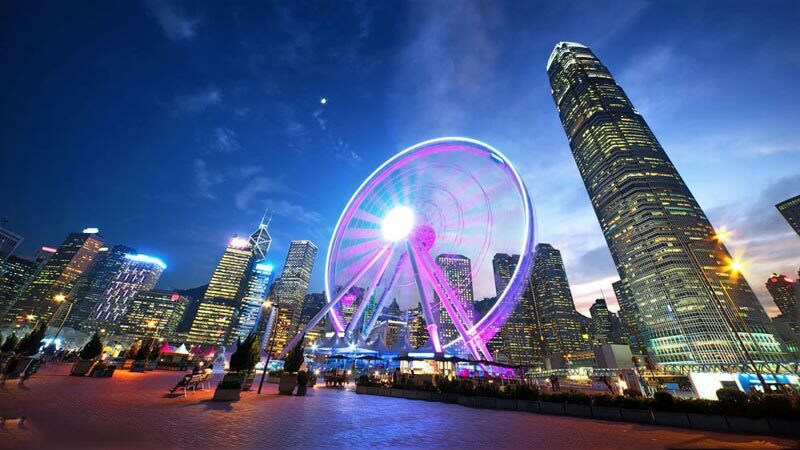 You can also take an optional tour of Hong Kong by night. 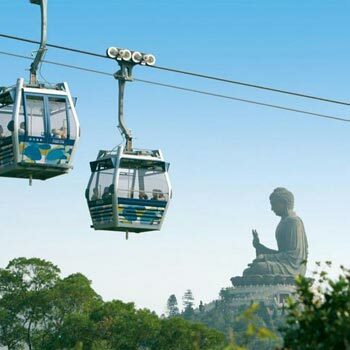 This optional tour will include a one way peak tram ride to view the Victoria Peak which is at 1,503 feet above sea level and provides breathtaking panoramic views of the city. 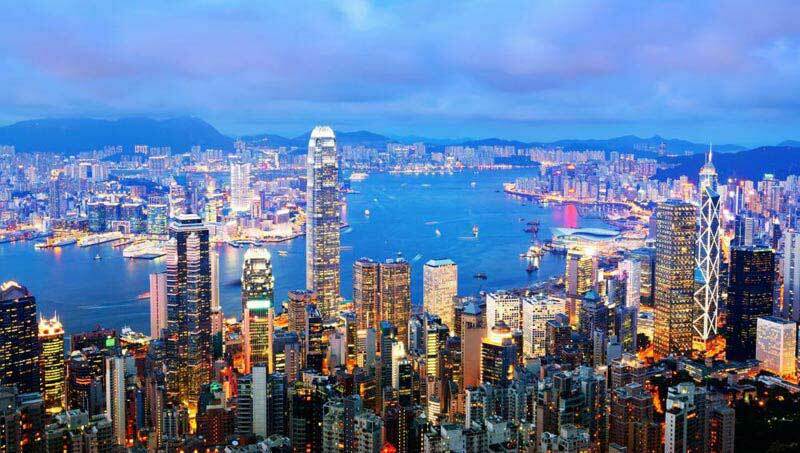 It attracts close to 7 million visitors annually, and you can click pictures of the Hong Kong skyline and visit Madame Tussauds. 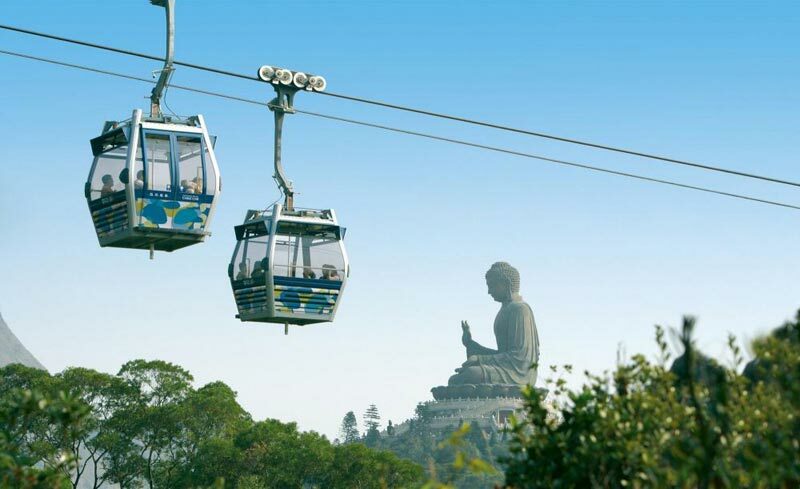 Victoria Peak offers everything from casual cafes to fine dining venues. Later on, we shall give you one hour free for shopping in the Night Market. Return to the hotel for a comfortable overnight stay.. Enjoy breakfast and get ready to catch a glimpse of the lifestyle of Hong Kong Island. Visit the age old Jewelry Factory in Hong Kong and a souvenir shop. Later visit the Victoria Peak (Top Level) by bus. At the end of the tour, we shall take you to the Avenue of Stars an ode to famous film makers. Return to the hotel for a comfortable overnight stay..
After enjoying breakfast, proceed to Disneyland for a fun-filled day at the theme park. The Hong Kong Disneyland is as happening as its American counterpart. Walking cartoon characters, fun-filled rides and delicious food, this is young Hong Kong's hangout for unlimited entertainment and fun. Enjoy lunch in the afternoon at Disneyland. Return to the hotel for a comfortable overnight stay at Disneyland.. Enjoy breakfast at the hotel and continue the thrill and adventure on the second day at Disneyland. Later in the evening, get transferred to Hong Kong pier to take your ferry to Macau, the city of glitz and glamour. Spend the day at leisure and return to the hotel for a comfortable overnight stay..
After a delicious breakfast, go for a Macau city tour which will cover places such as the Ruins of St. Paul's Church, a 17th century Portuguese Cathedral. During this tour, you will also get to visit other important places of attraction such as the Fisherman's Wharf, Cake, Casino and A-Ma Temple.Followed by Indian Lunch. After the city tour, enjoy a visit to the Macau Tower(Observation Deck Ticket) on your own. Thereafter, return to the hotel for a comfortable overnight stay..
With a sumptuous breakfast,our journey comes to an end. It was lovely to have you on board and will be delighted to have you with us again..